Instant eye lift. Plump, firm & brighten. 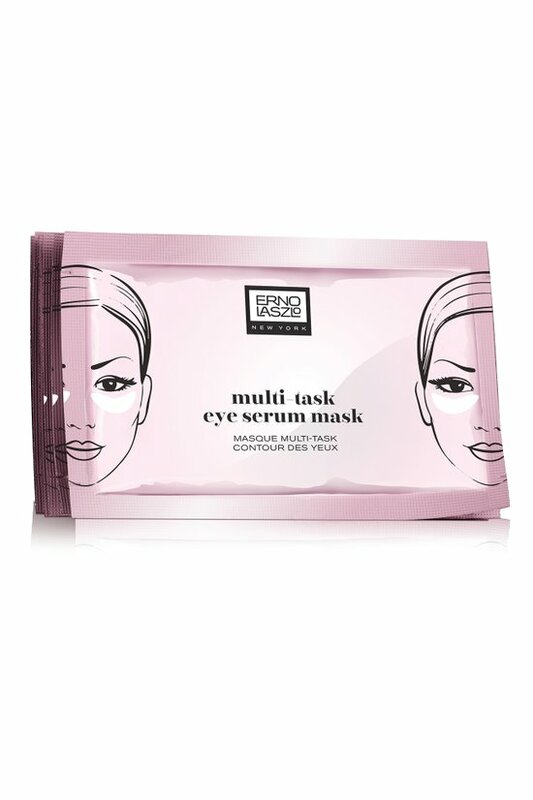 This serum-infused patch works to instantly erase dark circles, puffiness, lines and wrinkles around the eyes (one of the first spots to show the signs of aging). With a generous size that covers more territory, these moisturizing hydrogel eye masks conform and stay put on the tricky angles around your eyes. Apply to clean, dry under-eye area, avoiding direct eye contact. Leave on for 10 minutes, then remove and gently massage any excess product into skin. Use daily or whenever you need an eye lift. Water (Aqua/Eau), Glycerin, Butylene Glycol, Niacinamide, Ceratonia Siliqua Gum, Chondrus Crispus (Carrageenan) Extract, Allantoin, Peg-60 Hydrogenated Castor Oil, Centella Asiatica Extract, Ethylhexylglycerin, Saccharide Isomerate, Disodium Edta, Dipotassium Glycyrrhizate, 1,2-Hexanediol, Sodium Citrate, Sodium Hyaluronate, Citric Acid, Potassium Hydroxide, Chlorella Vulgaris Extract, Parfum (Fragrance), Phenoxyethanol.